Erdem Korkmaz of Fetihye, Turkey sporting his new Shildon AFC scarf safely delivered by Ian Stainthorpe of Main Street News. 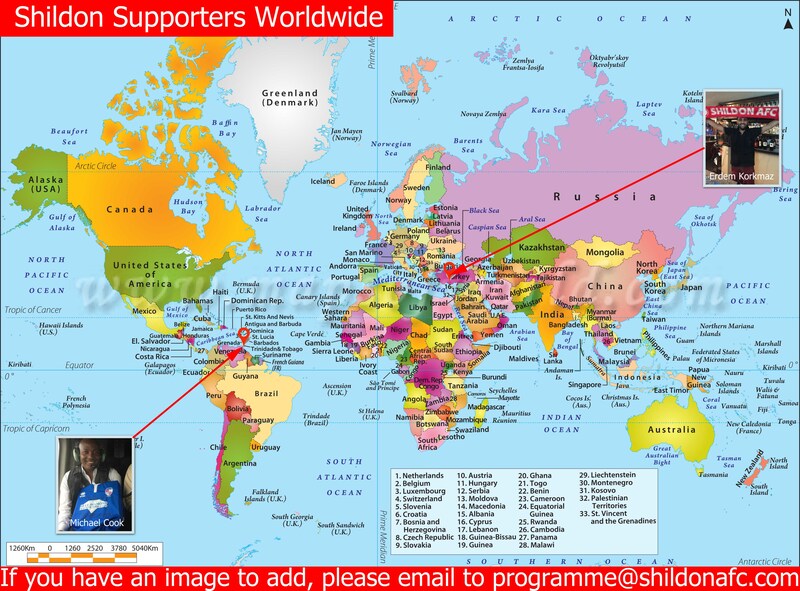 Erdem also becomes the first person on the Shildon Supporters Worldwide Map. If you have a photo to add to the world map, please email to programme@shildonafc.com with the location and we will add it in.